New research from The Australia Institute shows that 60% of Australians are opposed to drilling for oil in the Great Australian Bight, while the rate of opposition amongst South Australians is even higher at 68%. 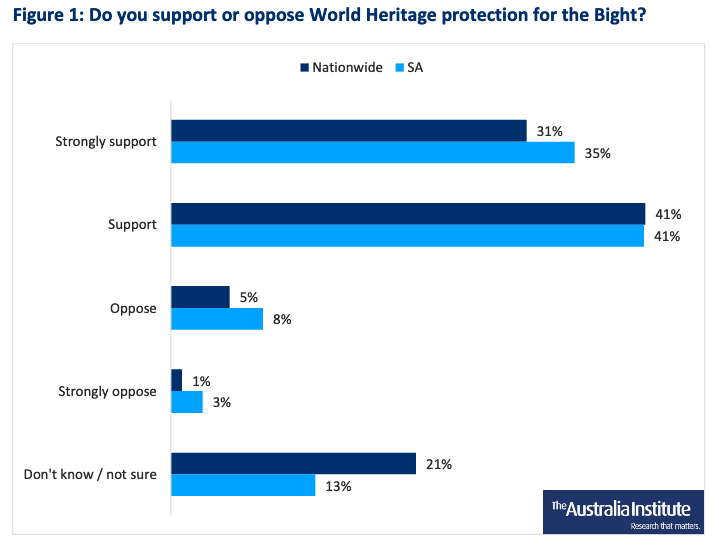 The first ever national poll on the issue found that only one in five Australians, and 16% of South Australians, support drilling in the Bight, while more than two thirds of Australians want to see the area given World Heritage protection. “The Great Australian Bight is a national treasure and now we know that people across the country want to see it protected from exploitation,” said Noah Schultz-Byard, The Australia Institute’s SA projects manager.